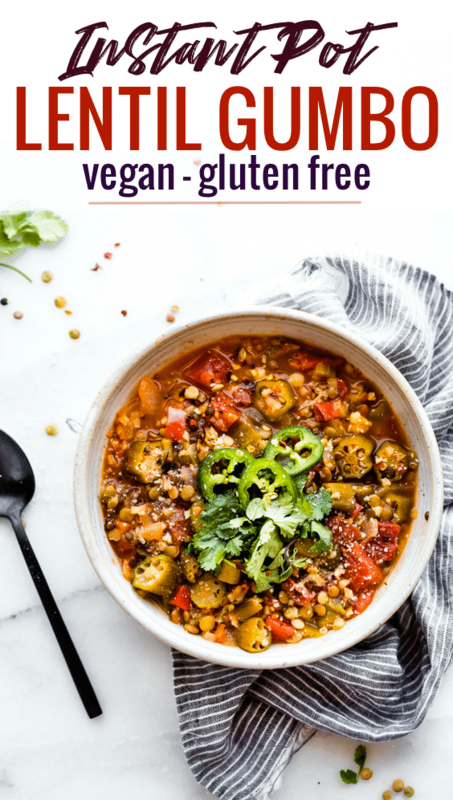 This vegan lentil gumbo recipe made quick and easy in the instant pot! A wholesome flavorful dinner that feeds a crowd. 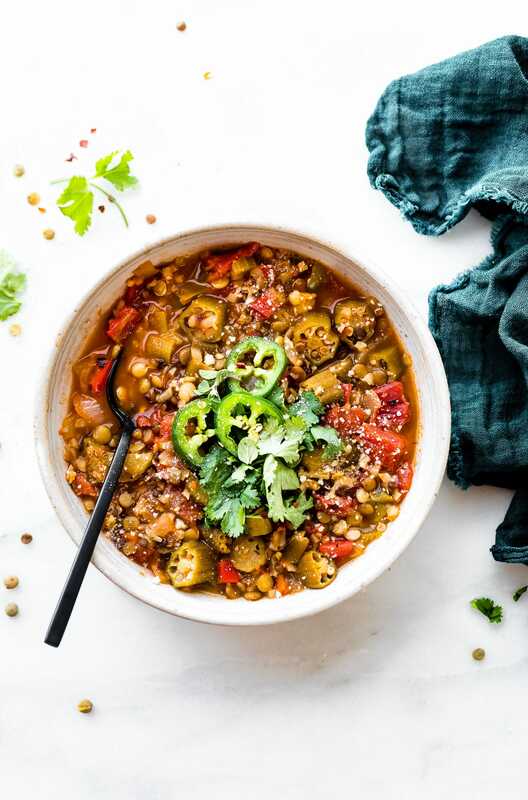 Rich in plant based protein, with the addition lentils, this gumbo is both filling and nourishing! 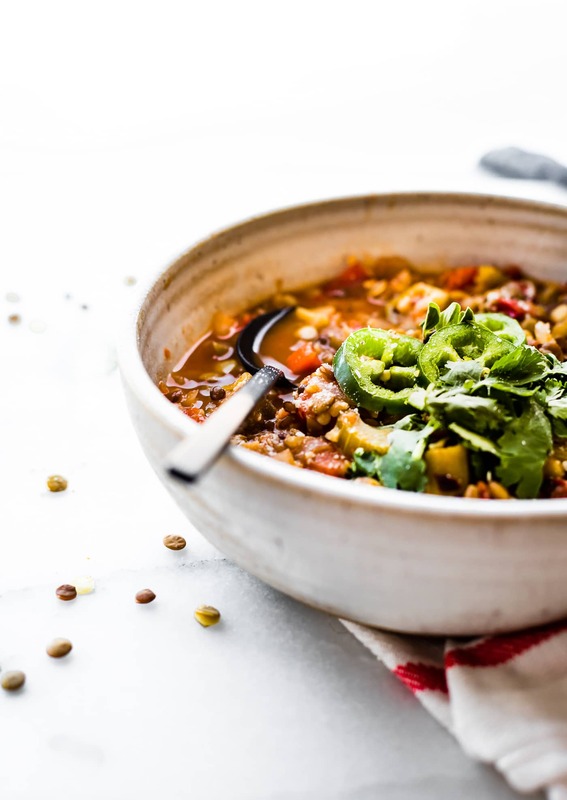 This Instant Pot Lentil Gumbo recipe is sponsored by my friends over at USA Pulses and Pulse Canada. Thank you for allowing me to talk about this caring real food company. Hello friends. We are continuing with our nurturing November recipe focus today. That being said bring on the cozy comforting stews. Bring on the warming spices. Bring on a house filled with the aroma of something delicious cooking on the stove! Or in this case, Instant Pot Lentil Gumbo. I will confess, I really did not know what cozy felt like until I moved to Utah. You see, Texas fall weather is usually in the 70s. So cozy is usually comfortable shorts weather. Moving to Utah really made me aware of a new kind of fall! As soon as November hit, the air turned brisk and the nights were much colder. My husband and I found ourselves craving some sort of chili or stew every night; especially a soup with a good deal of heat and spices. Let me just say this: a good bowl of stew will make you sleep like a baby. Which brings me to my next point, referring to nurturing November of course! Enjoying the seasons best food in a healthier way. Nurturing mind, body, and soul. 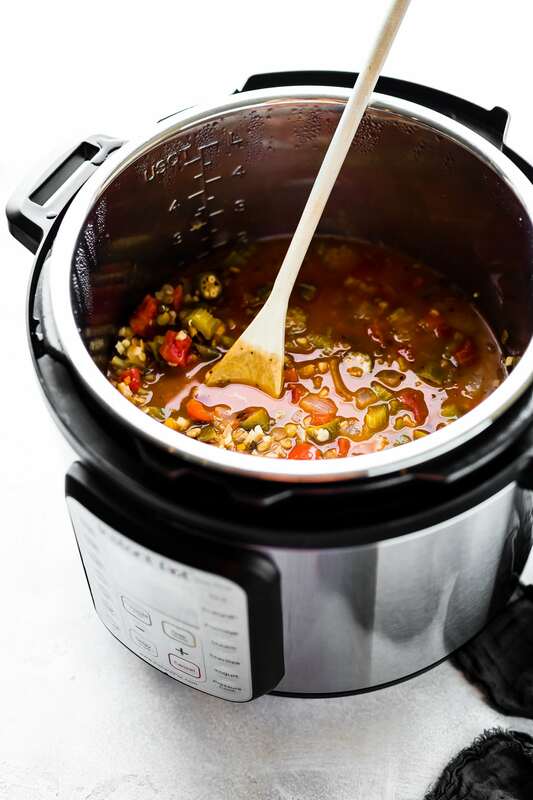 This Instant Pot Lentil Gumbo will do just that! 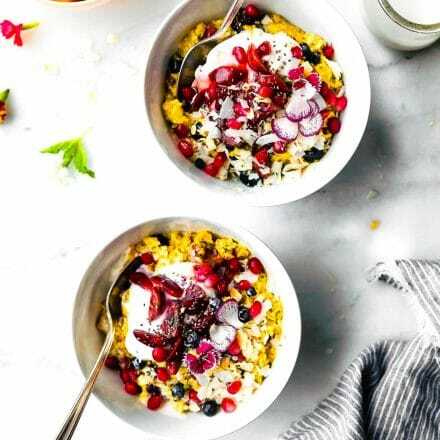 It’s made quick, healthy, and grain free. I never knew how much I could love a gumbo recipe until I made it with lentils, and in the instant pot! It took all of 10 minutes and is packed full of hearty flavor and nutrition. It’s like MAGIC! The key ingredient? Of course, lentils. Also known as pulses. Pulses are part of the legume family! But the term “pulse” refers only to the dried seed portion of the legume. DRY PEAS, EDIBLE BEANS, LENTILS AND CHICKPEAS ARE THE MOST COMMON VARIETIES OF PULSES. 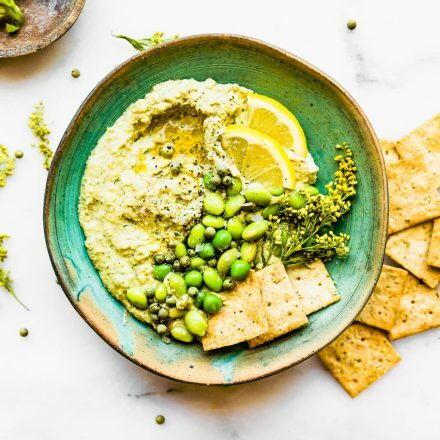 Pulses are also very high in plant-based protein, fiber, plant based Iron, and folate! Just to name a few. They are highly versatile when it comes to adding in more nutrients and dense texture to dishes! Plus, they are super affordable. You definitely get more bang for your buck. Let’s take this lentil gumbo for example. I could have gone the traditional route and added in a meat, fish, and/or grain for protein and carbohydrate balance. But as you can see, I didn’t. 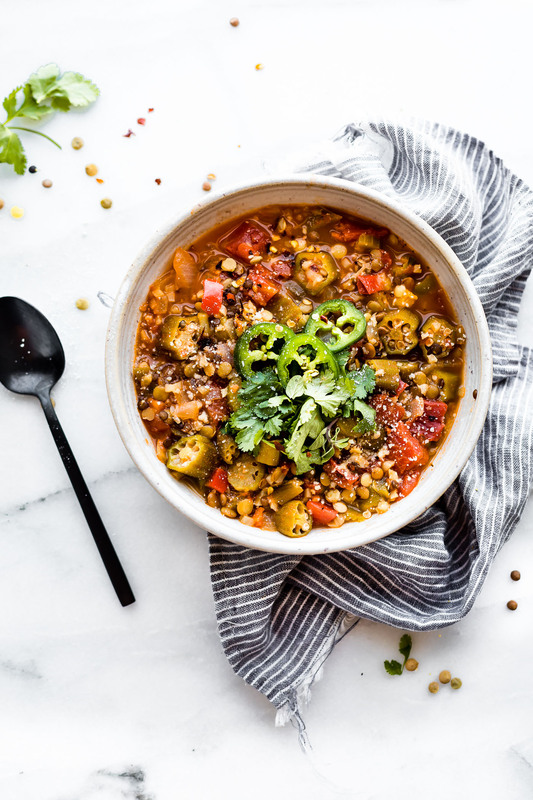 Instead, this snappy Instant Pot Gumbo is packed with pulses (lentils), spices, and vegetables! Still rich in protein, iron, B vitamins, and fiber! And bonus, it’s budget friendly! Which makes this lentil gumbo suitable and satiating for hungry families, carnivores and vegetarians alike! My one pot Lentil Jambalaya is another family favorite. I guess you could say we have a thing for adding lentils to cajun food, right? Haha. Did I mention it takes 10 minutes to make? Praising the instant pot! Don’t worry, there’s a speedy stovetop lentil gumbo option as well. Okay, so before I jump to the recipe, will you do me a favor? Keep nurturing November going by adding pulses to your diet. Sign up for the Half-Cup Habit, and see how easy it can be to add ½ cup serving of pulses to your diet 3x per week. 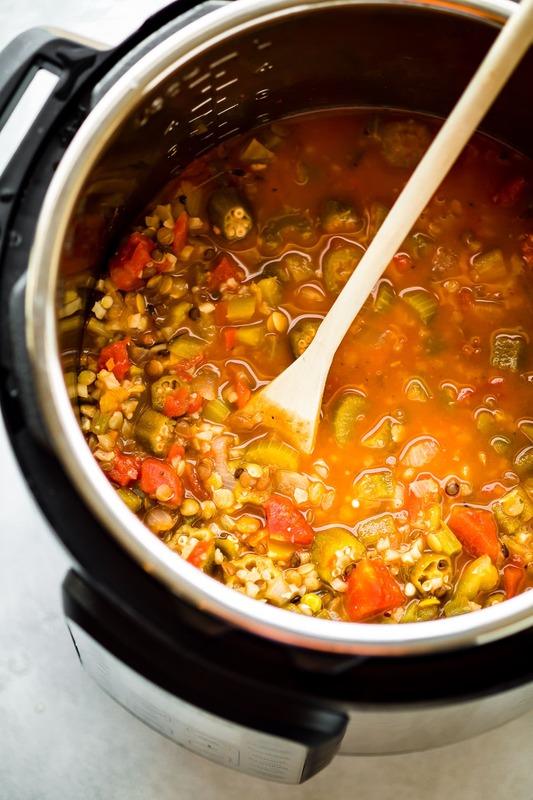 This quick, cozy Instant Pot Lentil Gumbo is a great place to start, just sayin’. 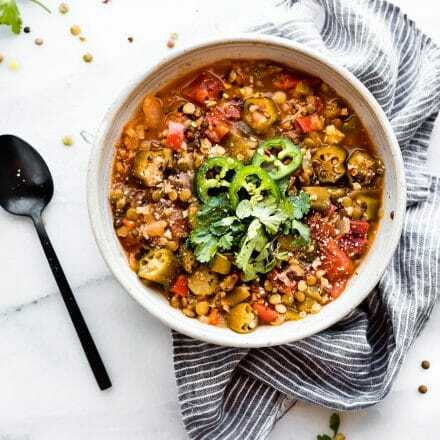 This vegan lentil gumbo recipe is wholesome, savory, and filling. 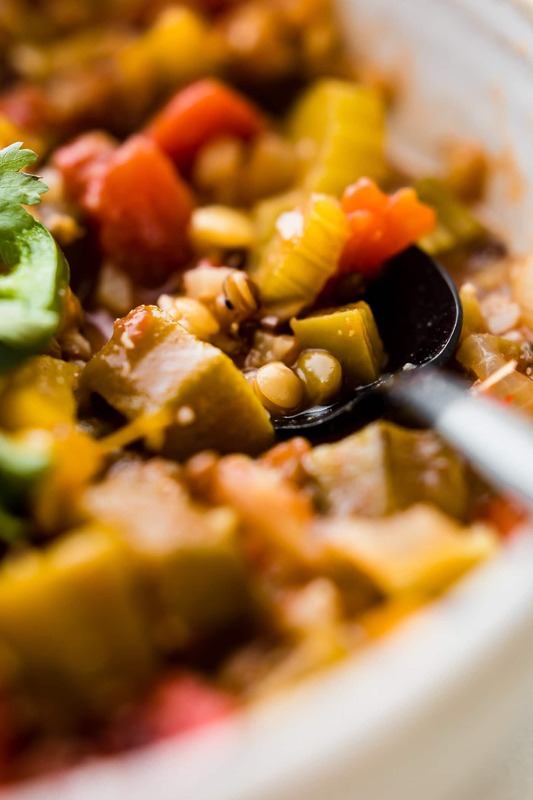 A quick vegetarian gumbo that’s budget friendly and full of flavor. Sauté oil, onion, garlic, bell pepper, celery for 5’minutes on sauté setting, until softened and fragrant. Add spices and mix again for 1 minute. Add remaining ingredients (minus salt and pepper). Mix together. Place lid on pressure cooker then place setting on pressure cook high for 12 minutes. Important: Don’t add extra salt to lentil gumbo while pressure cooking because it can ruin texture of lentils. Once ready to serve into bowls, garnish with red pepper flakes, jalapeños, and fresh cilantro. Since the cauliflower rice is added to the instant pot, you don’t need to serve this over rice. See notes for other options. For this instant pot lentil gumbo version, I did not add a roux, but feel free to do so. Just make the roux in another pot first before adding it too instant pot. 1. Heat a dutch pan over medium heat. Add the oil and gluten free starch or flour. Stir or whisk together until a roux is formed. Around 10 minutes to 15 minutes. Be sure not to let it burn. It should turn a light brown caramel color. 2. Next add your onions, celery, bell pepper, and garlic. Sauté until fragrant, about another 5 minutes, whisking frequently. Add the remaining ingredients, minus the tomato sauce and salt/pepper. 3. Bring to a quick boil then reduce to low and simmer for 20 minutes or until lentils are cooked through. 4. Add your tomato sauce the Last 5 minutes of cooking, stir together and keep warm. Season with kosher/salt and pepper to taste. Adding too much salt to lentils while cooking can ruin texture, so adjust salt content after cooked. 5. Serve into bowls and garnish with jalapeño and cilantro. *Optional* Since the cauliflower rice is added to the pot to thicken, you don’t need to serve this over rice, but you can and it’s just as tasty! Or serve over additional cauliflower rice (cooked) to keep it light. 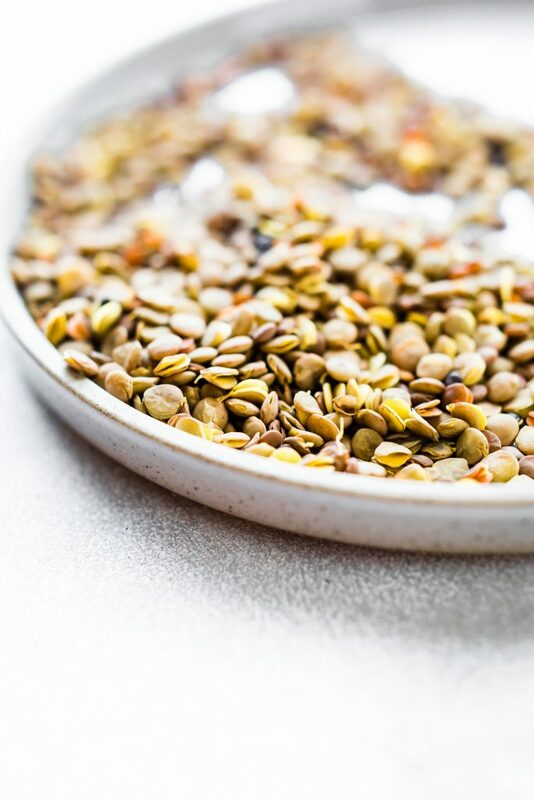 Did you know that Lentils are one of the most alkaline plant protein sources? Which is important for balancing the body’s pH level! What’s your favorite dish to add lentils too? Stock up and add them to all the stews!! Deliciously Nutritious ya’ll! 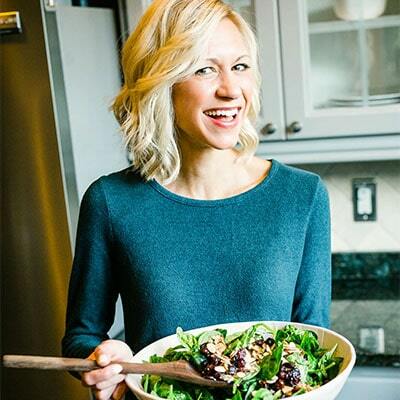 And if you’re looking for a another great instant pot recipe that’s hearty and healthy, check out Green Healthy Cooking Instant Pot Chicken and Rice! It’s on my list to make next! Instant Pot recipes are THE BEST. I haven’t cooked with lentils in a while, but I’m thinking I need to get them back in my life! Love how hearty this vegan gumbo is. And oh my gosh, I still have yet to try an instant pot?! Genius way to use pulses!! Healthy and comforting, my favorite combo! So in love with this gumbo! I think you made it on IG stories yesterday and I was curious about the recipe. I’ve never made gumbo and I don’t own an Instant Pot. 2 things to change about my life this week! Gorgeous photography as usual! I think I need to put an Instant Pot on my Christmas wish list! Love this vegan take on a gumbo! So comforting! This gumbo looks absolutely delicious Lindsay. It’s one of my husband’s favorites! Ok I REALLY need to get on this Instant Pot train. I think I’m the last person on the planet without one! This stew looks perfect for being cozy in Utah! I think you should come visit utah and we can make this! Love the IP. This sounds so great! do you have an instant pot yet? you will love cooking all the beans/pulses in there!! This looks so cozy! I’m with you… the weather affects my appetite too… and I’m all about the warm soups/stews/etc. lately. I love this! It is snappy indeed! I knew you’d love that! Hooray for flavorful, comforting dishes like this! 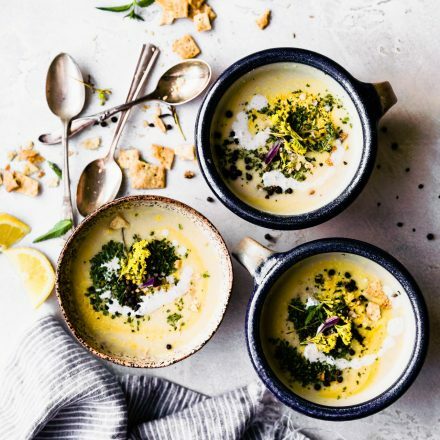 It is SO true that there is nothing quite like a bowl of warm piping soup that can just fill the tummy right up and make you sleep so well; I LOVE the Instant pot for making those soups so quickly. Visit California one day. You will NEVER live another day without sun. Anyways, this lentil gumbo looks absolutely incredible! I bet that it tastes soooooo comforting! Did you let the pressure release naturally or did you turn the knob to venting and quickly release the pressure? I looooove my instant pot! Thanks for the recipe! Both work but I did quick release to check on lentils. My husband found this recipe and made it for me as I work late a couple nights a week. It was a hit with us, so I made it for Sunday family dinner. Everyone loved it, so I made it for a plant-based meet up today. 5 stars. Thanks you. I used red lentils and quick release for pressure and the lentils were still hard. Any tips? I think my recipe plugin reverted back to old version without the updates. I would try slow release, add 1 cup more broth, or go a little longer. 15- 18 minutes or so. Does that help? One of my favorite meals to pack for lunch. Any advice on increasing the ingredients for larger batches? Thanks! Sure! can you have meat? You could add in chicken sausage and spinach. Made today for a vegan friend. Everyone loved it. I used only a 1/2 tsp of Cajun and cayenne. Still had a bit of a kick. Can always add more if you like. Used a whole frozen bag of riced cauliflower and it was perfect. Hey there … just realized that you didn’t recommend natural or instant release. which is preferable? Oh either! I always prefer natural release though. It might already be in the comments below, but can you include in the recipe instructions above as to use quick release or natural release on the Instant Pot? Oh sorry about that! I will update. Either work but to be sure the lentils fully cook, I would slow release. Does that help? Yes that does help thank you. 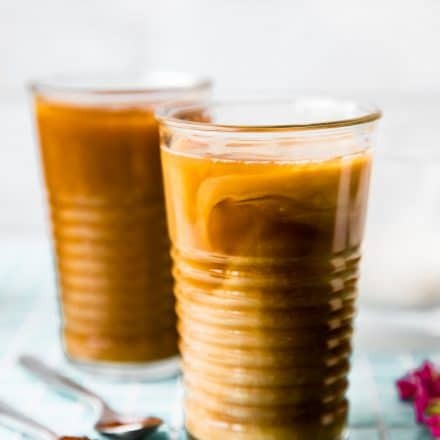 This recipe was SO GOOD that I’m making it again today so I can freeze it! Wonderful! So glad you like it Kathleen! Any suggested substitutes for Cajun mix spice if I don’t have any? Also, what kind of lentils do you recommend using? Do you have any “everything seasoning” or a mexican spice mix? I think that would be good! Let me know whatcha have and I’ll help! I used green lentils, but I think red or yellow would work too! In the past, I googled Cajun spice recipe and I had all the ingredients on hand. I hope this helps. Keep me posted! Happy to help! If I wanted to meal prep this recipe, how long would you say I could store it in the fridge? I’d say about 4 days. Give or take. Will that work? Maybe add the sauce last or day before. I am one of those people who read and do not comment, but today I felt I needed to. I have made this recipe twice in the last two weeks. It is awesome! It is definitely a favorite in our house. I’ve made it just the way the recipe says and have also added dice ham (I know, I know… sorry we aren’t vegetarian). Delicious either way! Came out great! Satisfied my craving for those warm rich flavors! Oh no! That’s never happened to me. So sorry. What kind of lentils did you use? Frozen or fresh okra? 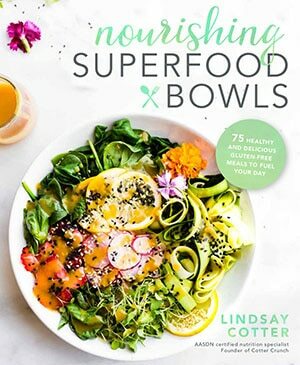 And did you use instant pot?